Easy-to-use, stainless steel clamping system employs four, one-piece, self-locking clamps to quickly seal lid to base with proper tension. O-ring assures watertight seal. 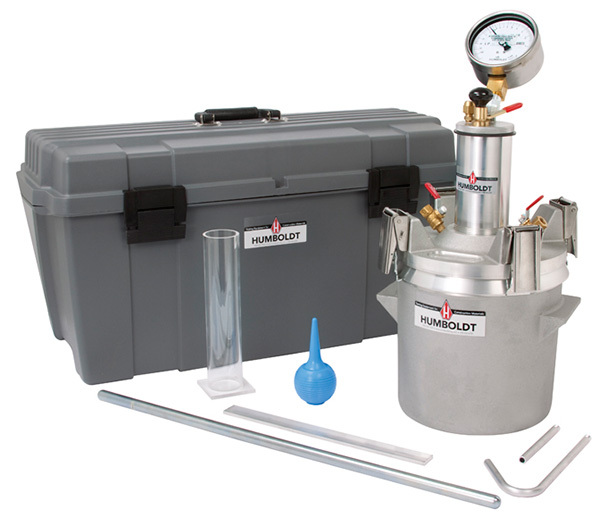 Large, easy-to-read (to nearest 0.1%) 4-inch diameter, direct percentage gauge with calibration adjustments. 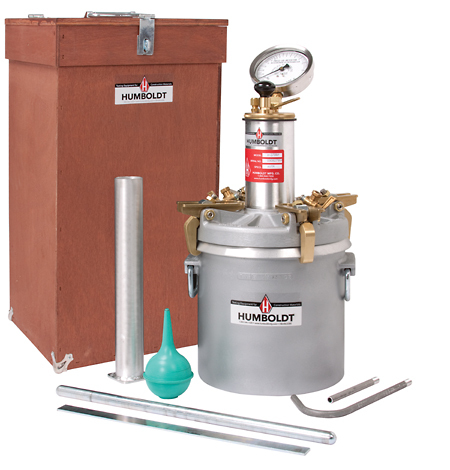 Features all-brass super pump for reliability and faster operation. Unique pop-it valve eliminates seal failures. 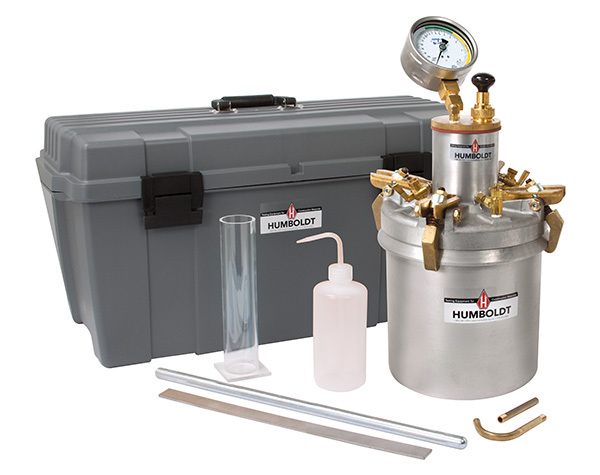 Furnished with all necessary accessories for calibration and operation, plus plastic, toolbox-style carrying case. 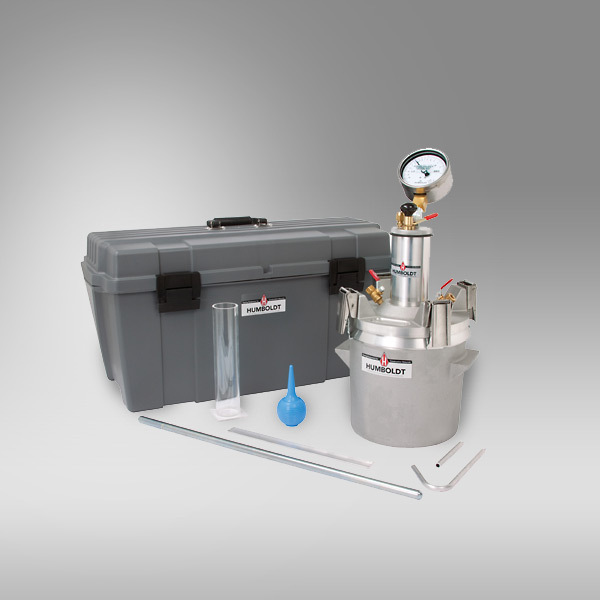 This method includes a known volume of air at a known pressure is merged in a sealed container with the unknown volume of air in the concrete sample. These methods do not apply to concretes made with lightweight aggregates, air cooled blast-furnace slag, or aggregates with high porosity. This is because of the magnitude of the aggregate correction factor, compared with the entrained air content of the concrete.